Shipping frozen freight requires superior equipment performance and reliability. Improper handling, storing and transport of frozen goods can lead to disaster – that’s why our team and our equipment is always working to the highest standard to ensure your shipment of frozen food or goods arrives nice and frosty. 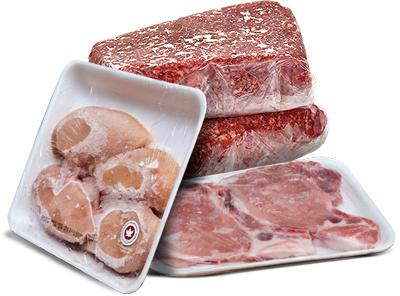 Packaging and handling becomes extremely important when it comes to shipping frozen food & goods. We comply with all the stringent guidelines set forth for the effective and safe transport of frozen freight, from top-of-the-line insulated containers to proper storage and ventilation. We keep your costs in mind. Less handling, fewer claims – our modern reefers can handle all of your frozen shipments, keeping temperatures way down and customer satisfaction way up!